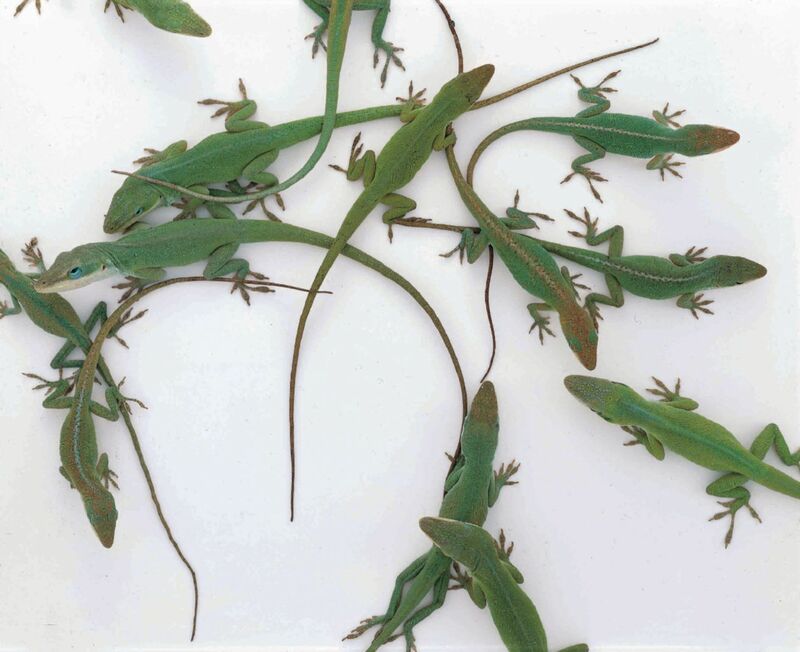 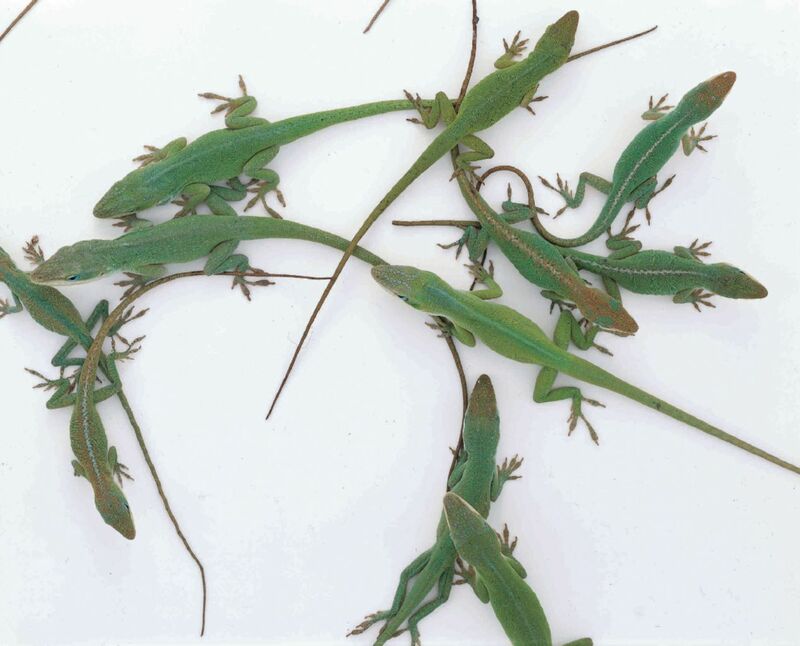 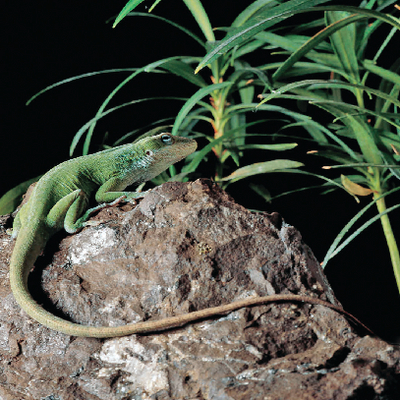 Anoles (American Chameleons) are tree-dwelling lizards found mostly in the southeastern US. 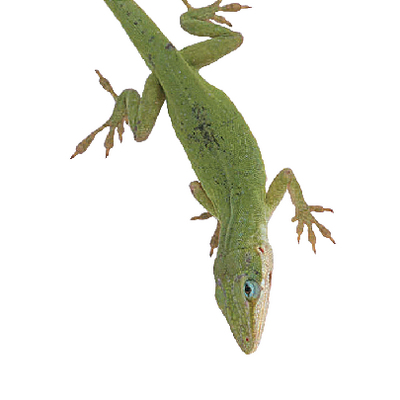 In addition to the fact that they change colors, Anoles are interesting creatures to watch because they are extremely territorial. 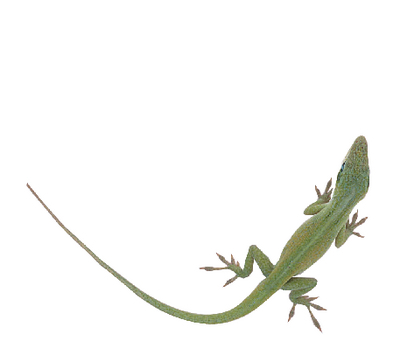 Males have a dewlap that they use for display purposes; when defending his territory. They require a heat source to maintain a steady temperature at 72 to 80°F and direct light.